Afinitor is a kinase inhibitor used for the treatment of adult patients with progressive, well-differentiated, nonfunctional neuroendocrine tumors (NETs) of gastrointestinal or lung origin that are unresectable, locally advanced, or metastatic. Through this program, patients with private insurance will be responsible for up to $25 monthly in copay and coinsurance for Afinitor. The program pays the remaining balance until a yearly maximum of $15,000 is met. To be eligible for financial assistance through this program, patients without insurance must be US citizens and must provide proof of income that meets the financial eligibility requirements. Eligible patients may receive Afinitor for free until a prescription drug coverage becomes available to them. Lutathera is a radiolabeled somatostatin analog used for the treatment of adults with somatostatin receptor-positive gastroenteropancreatic neuroendocrine tumors (NETs), including foregut, midgut, and hindgut NETs. For eligible patients who have private insurance, this program provides up to $15,000 annually, so that patients pay no more than $25 per an infusion of Lutathera. Through this program, eligible patients who have no health insurance to cover their medication will receive help to cover their cost of Lutathera. Somatuline Depot is a somatostatin analog used for the treatment of patients with unresectable, well-differentiated or moderately differentiated, locally advanced or metastatic neuroendocrine tumors (NETs) of gastrointestinal or pancreatic origin. Eligible patients with private insurance pay no more than $5 per prescription with this program for 12 months, 13 injections, or for a maximum copay benefit of $20,000 (whichever comes first). Patients with no insurance, or those whose insurance does not cover Somatuline Depot, may pay more than $5 per prescription and their maximum copay benefit amount for prescriptions is $1,666.66, up to an annual maximum of $20,000. Eligible patients who are experiencing financial hardship, or who have no insurance coverage, and meet specific medical criteria will receive Somatuline Depot for free. Sutent is a kinase inhibitor used for the treatment of patients with locally advanced or metastatic pancreatic neuroendocrine tumors (NETs) that have progressed and cannot be removed by surgery. 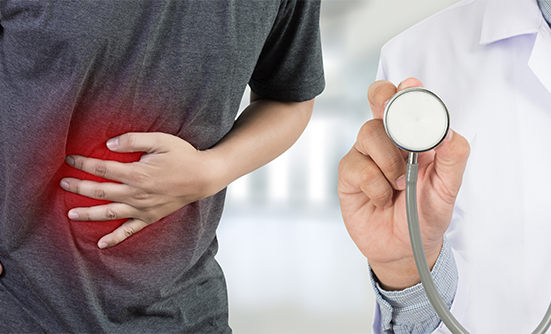 Sandostatin LAR is a somatostatin analog used for the long-term treatment of patients with severe diarrhea or flushing episodes associated with metastatic carcinoid tumors. For patients without insurance, to be eligible for financial assistance through this program, a patient must be a US citizen and must provide proof of income that meets the financial eligibility requirements. Eligible patients may receive Sandostatin LAR Depot for free until a prescription drug coverage becomes available to them. Somatuline Depot is a somatostatin analog used for the treatment of adults with carcinoid syndrome, and reduces the frequency of short-acting somatostatin analog rescue therapy. Xermelo is a tryptophan hydroxylase inhibitor used for the treatment of patients with carcinoid syndrome diarrhea, in combination with a somatostatin analog, in adults whose disease is inadequately controlled by somatostatin analog therapy. For patients with private insurance, LexCares provides Xermelo with a $0 copay and up to $10,000 annually. For patients who have Medicare or Medicaid coverage or have no insurance, and who also meet certain financial criteria, the LexCares specialty pharmacy partners will help to identify an appropriate patient assistance program.